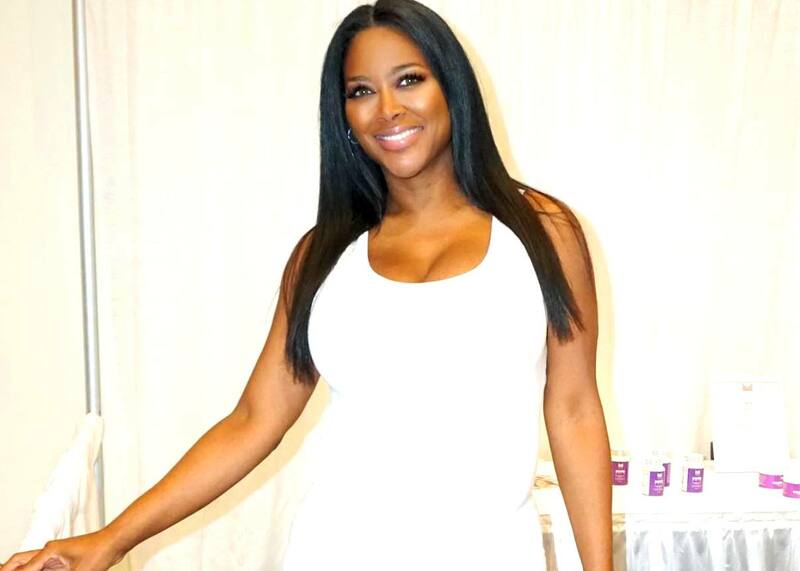 PHOTO: RHOA's Kenya Moore Shares First Pic of Baby Brooklyn Daly! Kenya Moore has finally shared the first photo of her baby girl. Weeks after welcoming her first child, the former Real Housewives of Atlanta star opened up about her new life as a mom. “I finally have everything I’ve dreamed of,” she gushed to PEOPLE on December 12. Kenya tied the knot with husband Marc Daly in June 2017 and one year later, after revealing plans to start a family right away, she confirmed they were expecting their first child. “She’s so perfect in so many ways,” Kenya said of baby Brooklyn. According to Kenya, her daughter “makes 101 faces” that always make her laugh and is a complete angel. “[She’s] so beautiful. I feel so blessed. It’s all been so worth it,” she explained. 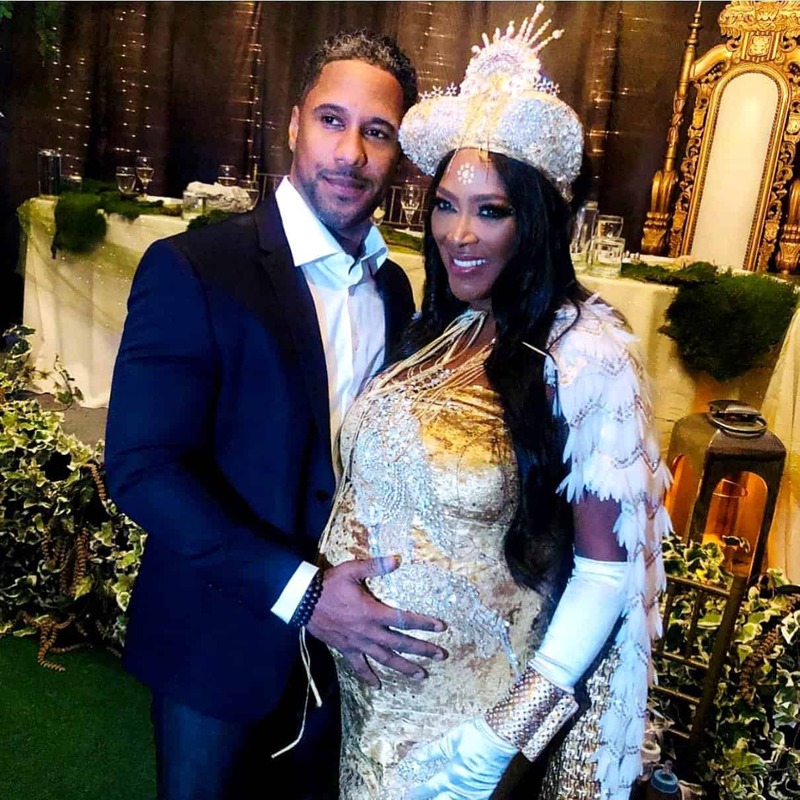 As Real Housewives of Atlanta fans may know, Kenya turned to in-vitro fertilization to conceive her first child and later shared her happy news on the show with her now-ex-co-stars. Weeks later, Kenya and Marc celebrated their baby shower with an over-the-top party in Atlanta. Throughout Kenya’s pregnancy, the former reality star faced a number of ups and downs, starting with the moment her doctors were unable to find her child’s skeleton early on in her pregnancy, leading many to suspect she wasn’t actually pregnant. During another visit, doctors worried Kenya was having an ectopic tubal pregnancy that would need to be terminated. In October, doctors diagnosed Kenya with preeclampsia, a condition in which moms-to-be experience extreme fluid retention and high blood pressure, which could lead to serious or even fatal complications. Although Kenya once joked about her swollen feet, she later learned her condition was no laughing matter after a doctor informed her that she had gained 17 pounds in just one week. “‘Wait a minute, is this scale right?’ ‘Cause I remembered specifically what my weight was, and at that point, I was at 203 lbs. already. And then when they weighed me, I was 220 lbs. And I was thinking, ‘Something is not right here. Is the scale broken?’” she asked. After more tests were done, doctors found additional signs of preeclampsia and continued to monitor her condition until ultimately deciding to deliver her daughter six weeks early. Unfortunately, Marc was on a plane en route to Atlanta at that very moment. Although Marc did arrive to the hospital in time for the birth of their first child, the delivery didn’t come without drama and prior to the child’s birth, Kenya was given anti-seizure medication for herself and steroids for her child to make sure the baby’s lungs were developing properly. Then, her emergency cesarean section lasted three long hours as she was cut both horizontally and vertically because fibroids were in the way. Also, during the surgery, Kenya’s epidural ran out and doctors were forced to administer anesthesia to knock her back out. “When it was all over, my doctor said, ‘This was one for the books,’” Kenya revealed. Despite the drama, Kenya felt completely calm at the moment her daughter Brooklyn was first put into her arms. Brooklyn Doris is named after Brooklyn, New York, where Kenya and Marc met and fell in love, and after Kenya’s grandmother.